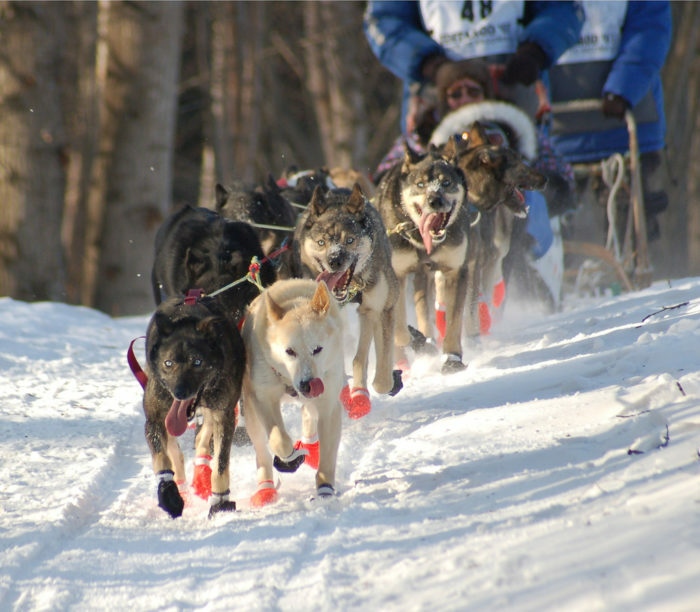 Known as The Last Great Race, the Iditarod Trail Sled Dog Race is an annual classic race held in Alaska. 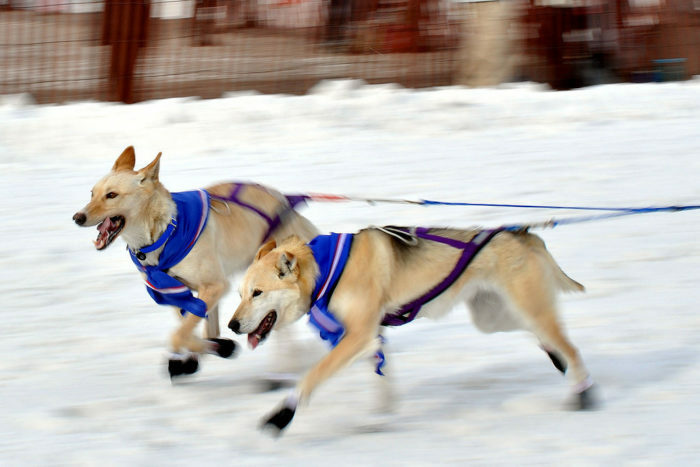 Dog mushing has been Alaska’s official state sport even before the start of the Iditarod Trail Sled Dog Race. 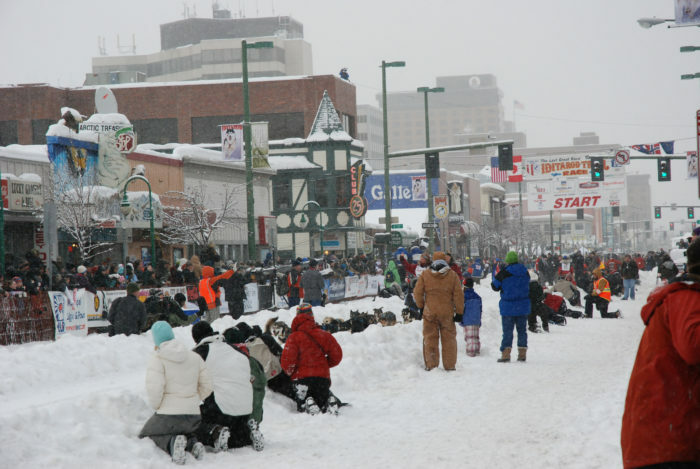 The Iditarod is a highly anticipated event that many Alaskans look forward to! The very first Iditarod Trail Sled Dog race was held in 1973. It began as an event to test the mushers' skill levels, but has since evolved into the competitive race it now is. 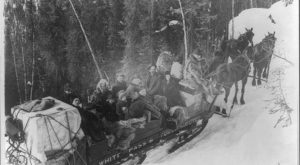 The most famous mushing event in Alaska's history was in 1925. This event is referred to as "The Great Race of Mercy." 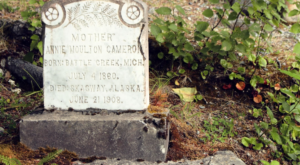 A large diphtheria epidemic threatened Nome, Alaska, and all of the current antitoxins needed to treat the outbreak were expired. The governor approved a safe route, and the medication was sent to Nome via dog sled team relays, each team running no more than 100 miles. More than 20 mushers carried the serum 674 miles. It arrived in just five and a half days. 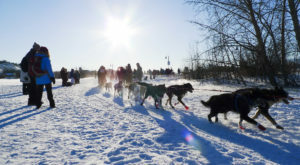 Dog mushing has been an Alaskan pastime far before the very first Iditarod was held. In 1972 Alaska designated dog mushing as our state sport. 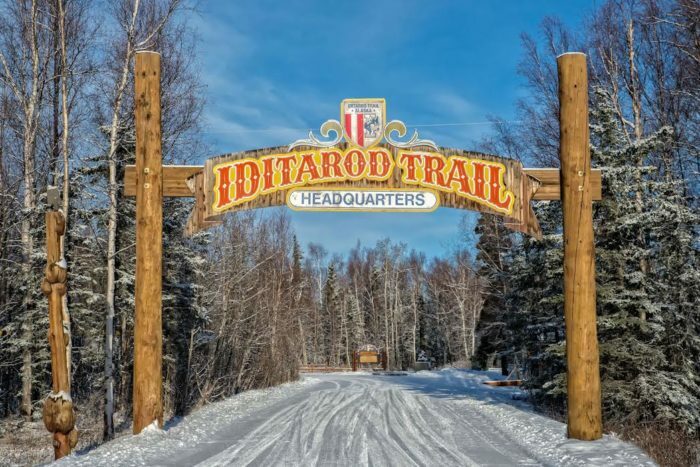 In fact, parts of the original Iditarod trail were used be Alaska Natives for hundreds of years before the start of the Iditarod. Alaska Natives used dogs in many beneficial ways. They were trained for hunting, for travel, and for protection from Alaska's many wild animals. When gold settlers arrived in the 1800's, they used the sled dogs to scout out areas and move people from camp to camp. The Iditarod Trail Sled Dog Race officially begins the first Saturday in March, every year. This year it starts on Saturday, March 2nd, at 10:00 a.m. 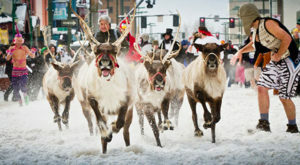 This date is the ceremonial start in Anchorage, Alaska. The mushers run a short loop around Anchorage. The official re-start is Sunday, March 3rd at 3:00 p.m. The re-start happens at the Willow Community Center. The Iditarod Trail Sled Dog Race is around 1,000 miles and brings in the best competitors world wide, both men and women. 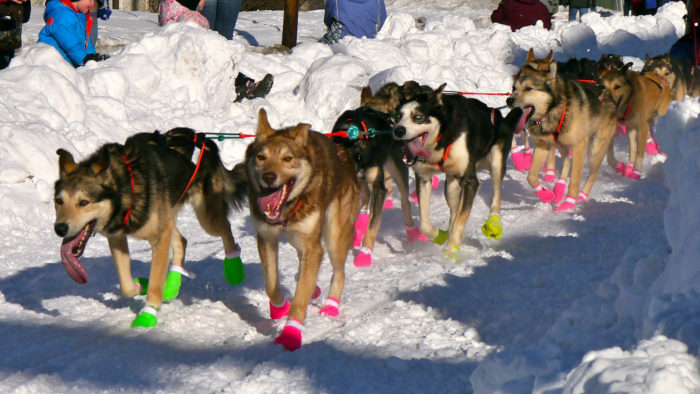 The teams run with 16 dogs, and at least 5 of those dogs must remain on the towline by the finish line. 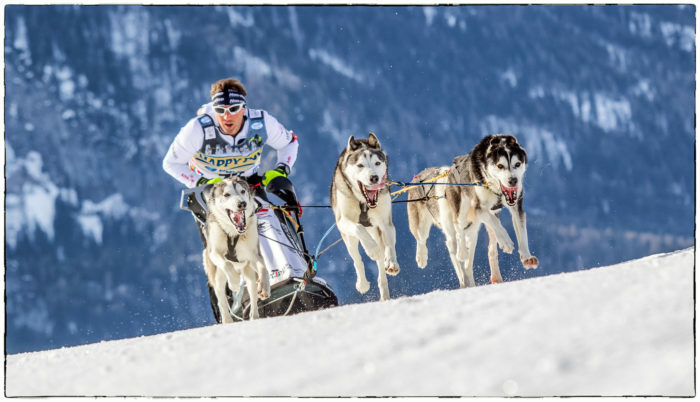 The race runs from Anchorage to Nome (with the official start in Willow,) and takes the competitors anywhere from 8-15 days to complete the entire run. The fastest win was completed by Mitch Seavey in 2017. His time was 8 days, 3 hours, and 40 minutes. 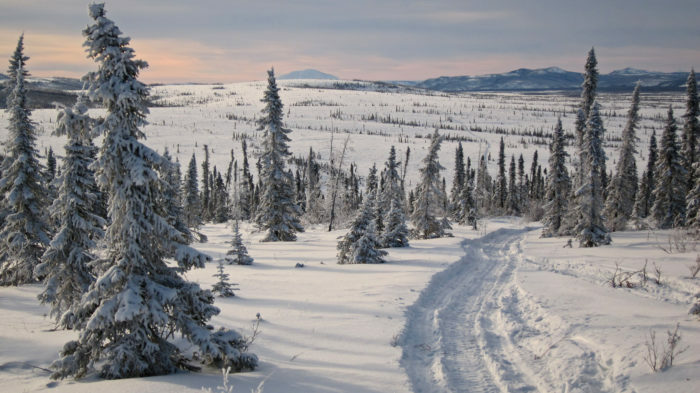 These mushers run through some of the toughest terrain to be found in Alaska. They run through blizzards and whiteout conditions, and temperatures of almost -100 degrees Fahrenheit. The route crawls over mountain passes, and across large, frozen rivers. 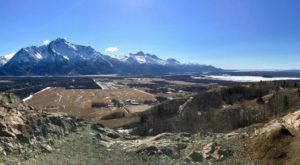 The landscape is harsh, although the Alaska landscape is beautiful. 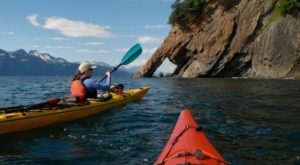 The trail then follows the coast of the Bering Sea, before reaching the town of Nome. The mushers themselves are a hardy breed! With an annual average of over 50 competitors, the mushers and their dog teams are local celebrities in Alaska. There have been competitors from over 14 different countries, most notably Martin Buser, who was the first foreign winner in 1992. In 1985 we had the first female winner, Libby Riddles, followed the next year by the second female winner, Susan Butcher. Susan then won four years in a row. The dogs themselves are star athletes. These dogs are bred from a mix of Alaskan huskies, German Shepards, hounds, and wolves. In the early 20th century they also began to breed with Siberian huskies. The dogs typically weigh anywhere from 45-55 pounds. Endurance, speed, a good attitude, and a love of running are the main traits the dogs are now bred for. The dogs, being the stars of the show, receive top notch veterinary care at each and every checkpoint. They eat special diets, and the mushers are required to keep a veterinary diary while on the trail. 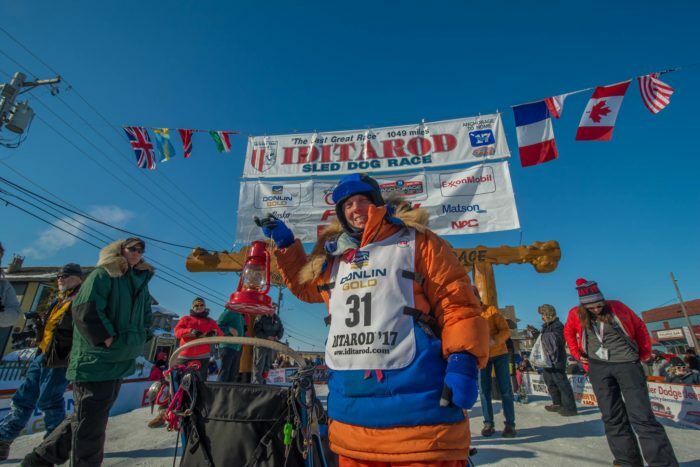 People come from all over the world for the start of the race in Anchorage, and to see the winners cross the line in Nome. The official finish line is a burled arch in Nome, called the Red "Fox" Olson Trail Monument. The very last finisher gets the "Red Lantern Award," and the award is a symbol of perseverance. The Sunday after the winner's arrival, there is a large banquet in Nome where participants receive brass belt buckles and patches. The winner wins 10% of the total prize money. 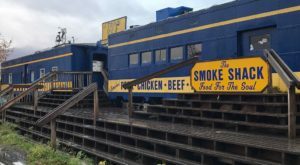 Looking to grab a great snack on your way to the early morning start of the Iditarod in Anchorage? Make sure to check out the best donut shop in Anchorage! 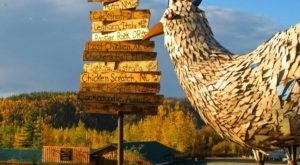 Swing by the donut shop that’s open 24 hours a day, The Award Winning Donut Bakery In Alaska!